Discover announced today that transactions made with Apple’s new Apple Pay Cash card leverage the Discover Network. The Apple Pay Cash card is a virtual debit card that lives within the Apple Wallet app. The card is part of the new Apple Pay functionality allowing U.S. customers to send and receive money among friends and family quickly, easily and securely. 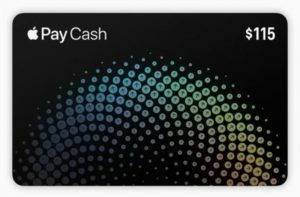 When Apple customers receive money on a supported device, the money is added to their new Apple Pay Cash card. They can use the money instantly to pay someone or to make purchases using Apple Pay in stores, apps and on the web.